How School Students can Save the Planet in One Year! | Collaborate for Change! « Can Social Networking Really Cause a Revolution? Don’t look to Obama or the UN to save the planet from deadly climate change. Look to the young people in your classrooms who joined the first DeforestAction live web event from Borneo last week and to the millions of friends with whom they are collaborating. They will be responsible for saving the planet – well, they will certainly have a major impact and help take a big step in the right direction. Alternatively, by stopping illegal deforestation in Borneo (over 70% of all logging in Borneo is illegal), in one year we could save 3.5 billion tons of carbon being pumped into the atmosphere – that’s more than the annual CO2 emissions of Sweden, Germany, France and Australia put together. 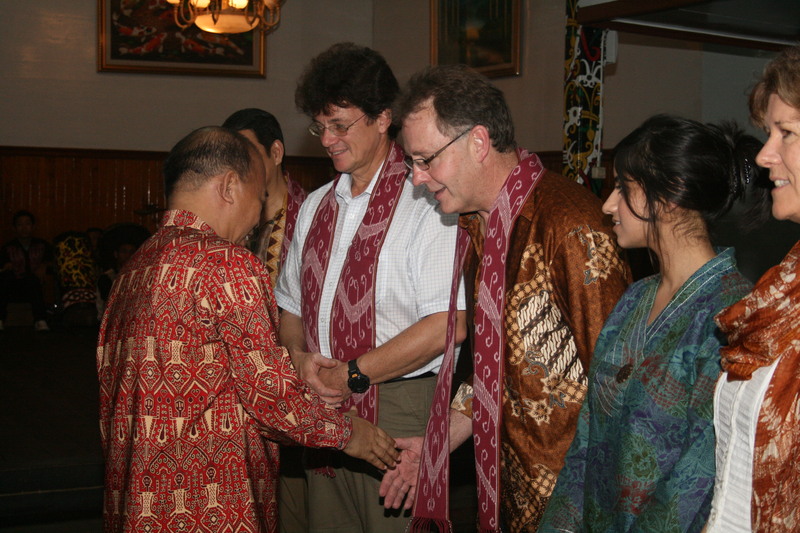 Indonesia desperately want to stop illegal deforestation but needs help to do this. 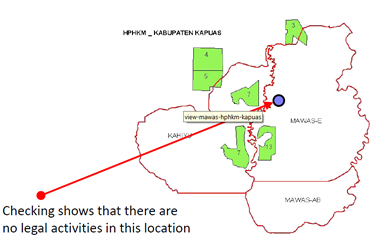 If the DeforestAction team can provide reliable real time advice on where illegal deforestation is occuring, they will support use this information to act powerfully. 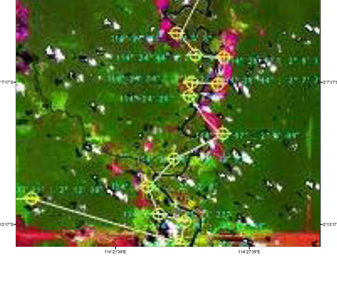 Using Bing Maps, some high level programming by Dutch company Geodan, and the latest satellite technology, the entire forest area of borneo will be divided into hexagonal blocks. This will move from restricted pilot to full version in July 2011 allowing all school students to participate. 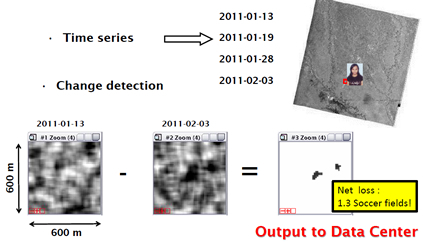 Each student will be provided weekly images of their ‘patch’, and use a simple tool to inspect the images for inconsistencies. For discussion purposes only, imagine in the image below, this student identified some forest clearing. 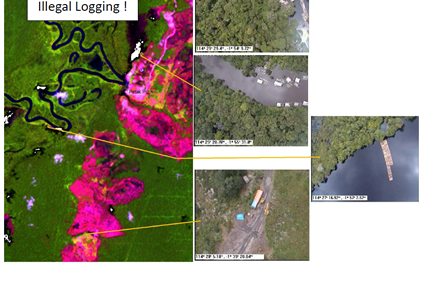 Change detection is mapped against known legal logging sites. In this case, there is no match - the logging is illegal. Within one week of reporting illegal activity, the perpetrators can be challenged, their activities exposed, and all students notified of the impact of their monitoring and intervention efforts. Illegal deforestation will no longer be the safe, lucrative operation it currently is. Within one year, students will create a powerful deterrant mechanism to illegal deforestation. To learn more, visit www.deforestaction.org. This is a great initiative & really encouraging. My class & I are keen to become involved as this rolls out. Willie Smits dedicates his life to safe the world ! His new project Sintang Lestari will show the world that we can make a positive change and bring back the balance between nature, humans and animals. Everybody should read The Intimate Ape (chapter 9 The heartfelt man about Willie) from Shawn Thompson and Thinkers of the jungle from Willie himself. Young people from around the world are the key now to help stop deforestation. I already know some young people who are dedicated to this. LETS DO IT TOGETHER ! See you in Sintang ! Being a satellite mapping specialist myself, I’m so excited to see GIS and remote-sensing tools used in schools in an operational project! The concept of fragmenting the projects in mini tasks is even better. Great work guys and thank you Willie Smits for fighting with such a passion. Fantastic use of new technology. beneficial for the Earth and humanity, AND a great way to make school a meaningful experience! Very impressed! How can I become involved, spread the news, and grow this idea to involve more school students and more earth monitoring projects? Thanks for your enthusiasm. The best way to get involved is to visit http://www.deforestaction.com and sign up. There are virtual classrooms, lesson ideas, teacher guides and an ongoing competition for students from your school to star in a 3D movie about the project. The Earth Watchers software is nearly finished – we are running last minute trials of it now, so should be available for your students just a few weeks after Easter. We’d love to have you involved. 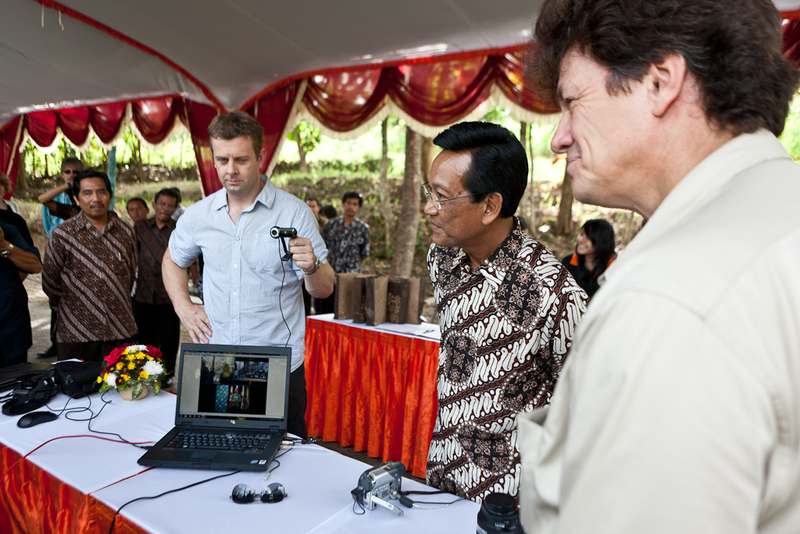 on July 18, 2011 at 11:35 am | Reply DeforestACTION Software Launch – Register and Learn More « Collaborate for Change! You have raised an excellent question. While the earthwatchers software is in beta, we are considering feedback and guidance on all aspects of the initiative. if you have expertise and advice, please let us know by contacting us directly, and we will ensure your thoughts are shared.